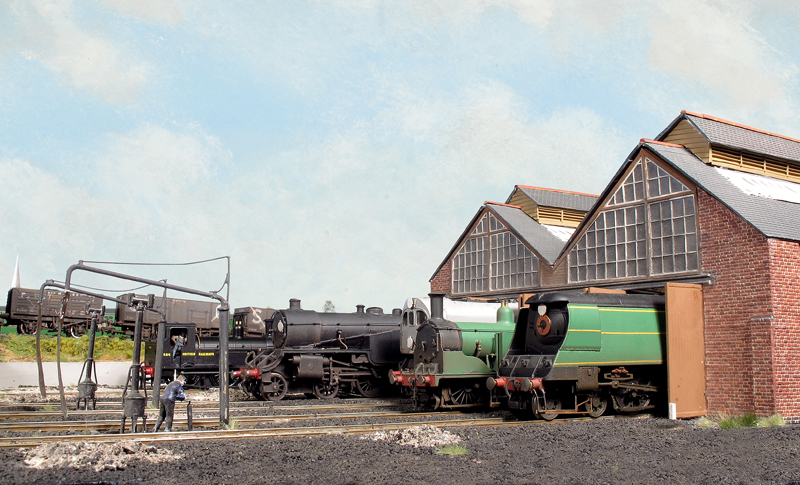 « Another Southern Shed layout to the fore! I am now able to confirm that I have accepted an invitation to exhibit Fisherton Sarum at next year’s Hornby Magazine Live show in Hartlepool on 13th / 14th July. This year the show moved to an in town venue at the new Hartlepool College of Further Education, and has gone from strength to strength quickly building a reputation for being a high quality show. It will not be the first time some of stock has been seen there as the layout Ashland that Mike Wild (editor of Hornby Magazine), Richard Proudman and myself built actually during the 2011 show was exhibited at this years show and on the Saturday ran in Southern 1946 to 1949 guise using my stock. This will be one of only three shows that Fisherton Sarum will be attending in 2013 and the full details can be found here on the Exhibition diary page. Fisherton Sarum’s final outing this year will be at ‘TadRail’ the annual exhibition of the Tring and District Model Railway Club on Saturday 13th October 2012. It will be a new venue for TadRail as it is being held at the the Cottesloe School, Aylesbury Road, Wing , between Aylesbury and Leighton Buzzard, LU7 0NY. Congratulations on the Hornby mag tour.